Hah. I am amazingly (and I think justifiably) proud of THE SHATTERED VINE, but since it’s the concluding volume in a trilogy (FLESH AND FIRE and WEIGHT OF STONE coming first), I’m sure there’s not much point in pushing it for awards. I still jump up and down and squee about it, though. In the past couple of years, there have been two steampunk anthologies entitled DREAMS OF STEAM. The latest, DREAMS OF STEAM II: BRASS AND BOLTS has a lot of great stories in it. I think it stands out because it has two stories featuring Nikola Tesla, one of which, “In Tesla’s Court” by Robert Cerio, also features Mark Twain and time travel. It even mentions my favorite Twain novel, A CONNECTICUT YANKEE IN KING ARTHUR’S COURT. There are a lot of good stories in this volume, and, with another on the way, I think it’s worth checking out, if only because these anthologies get better every time. You know, I asked that on my own blog a couple of weeks ago, and the silence was deafening. Thus far I’m generally not impressed the stuff I’ve been reading based on the Nebula suggested reading list. It may turn out to be a lean year. That said, Nick Mamatas has done some very interesting stuff this year, specifically with SENSATION in the novel category, and “North Shore Friday” in the short story category. I hope you have read the short story collection – Jane Austen Made Me Do It – I am not a writer but I do read 4 or 5 books a week. Many genres are represented and I found them all entertaining and many of them memorable. Thanks for sharing your thoughts here in your blog. The book I have been recommending to everyone is Feed by Mira Grant (the sequel Deadline came out this year and rocked, as well.) The four of us (me, hubby, 2 teen boys) all loved it. What I’m reading now is “How to Live Safely in a Science Fictional Universe.” It’s interesting because hubby hated it and couldn’t get past the first 50 pages. I keep vacillating between ‘how cool is this’ and ‘lord, this is way too self-consciously cute’. I’m committed to reading it to the end, because for right now the cool factor is winning over the cute factor. I know from that impostor syndrome of which you speak. I barely wrote anything last year, but then I have to remind myself that we survived a house fire that left us rootless and in temporary housing for 10 months. My job was holding ‘home’ together as best I could for the rest of the family. And along the way, I edited one novel and decided to self pub another. My squee moment was this morning when I got the proof copy for my debut YA novel! W00t! December 1st was the anniversary of the fire and I feel like I’m able to move forward now, to new and better things. I wasn’t going to comment, but then I read “manipulative puppeteer” and LOLed. A puppeteer who isn’t manipulative must be, by definition, doing it wrong. http://clarkesworldmagazine.com/?s=Silently+Valente; they also have podcasts up of the first two (of three) parts read by Kate Baker. 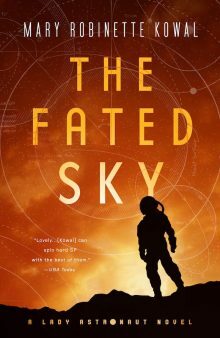 For those wondering “Can Catherynne M. Valente write Science Fiction?” I feel the answer is, yes. The story made me think of Permutation City by Greg Egan, in that they both explore the ideas of A.I. and identity. I didn’t have anything come out this year, but I was wondering about “Kiss Me Twice”. I remember that you posted a large portion of it for free several months back–and I still want to finish reading it. I’ve tried looking of single issues of Asimov’s for sale and I can’t figure out how to purchase it so I can read the rest of your story…. Do you know a way? I’m sure there’s something obvious I’m missing. I’m asking about that and will let you know what I find out. I wrote one short-short that I should revisit and am gathering momentum for a novel, but the majority of my writing has been non-fiction. No books this year, as we’re between Microsoft Office releases, but I did record three full-length courses for lynda.com. May I recommend Kameron Hurley’s _God’s War_ and _Infidel_? They’re the best things I’ve read this year that Cat Valente didn’t write. As soon as I sold my first story (“Falls the Firebrand,” Analog, March 2011) the guys at the local SFF club pointed out that my “Campbell Clock” was running. No pressure, right? o_O;Since then I’ve had “Lord God Bird” the the _Triangulation: Last Contact_ anthology and “Borrowed Feathers” in Stupefying Stories Vol. 1, Iss. 2. The rights to all of these have reverted to me (at least, I think so, based on the contracts — I’m sure about two of them, anyway). I want to put them online somewhere, but I’m still looking for a good place to do that. Oh, and I’ve been reviewing books for Strange Horizons! Because they are awesome. p.s. Shades of Milk and Honey got me through the awful flight home from World Fantasy. Thank you. Mary, what a pleasure to read your tips for authors. Since we share backgrounds as touring puppeteers (and Bon and I have figured out how to fit an entire show in a Prius) I will add that I always bring everything I need for salad dressing–Extra Virgin, Balsamic, Soy Sauce, Garlic and an Herb mix– so that I can hit a supermarket salad bar or even get a salad from Subway without having to stomach dressings full of cottonseed oil and guar gum, or, worse, eat an undressed salad (which always makes me feel like a foraging stegosaurus). Clearly not possible when traveling by air, but I prefer the long drive to a brief, olive-oil-free flight. Writing? Dec. 1 brought me to the end of 2 years of writing a poem every day. I always harp on “art as a practice” to my writing students, so feel compelled to set an example. Dec. 2 began “play-a-day.” Short plays, certainly, but who knows where it will lead? I make more money with my plays than with the poetry, so it seemed like a good place to focus. I have not yet been able to stop writing a poem-a-day. But I’m not addicted. I can quit any time! Really. In addition to publishing a bunch of poems this year, I wrote a new translation/adaptation of The Soldier’s Tale For Robert Smythe and the Chamber orchestra of Philly, which just won a Barrymore for most innovative collaboration. I think I’ve already told you about that, but this is my year-end summary, so. Last year I adapted a novel by a friend as a stage play. This summer I re-did it. Cut fifty pages, several characters, and made it a lot more theatrical. Still needs a production. I also put together a reader’s theater production made up of poems extracted from interviews I did with former shoe factory workers (an industry that has disappeared here). It was the culmination of four years as poet laureate of our nearby city of Rochester, NH. So, we keep plugging away. My students keep me nominally in touch with pop culture (two of them successfully completed NaNoWriMo this year). For a world slowly choking itself to death, life is still pretty brilliant. Congrats on all your successes! I read mostly poetry these days, and literature long out of print, but if you want a recommendation, hove you ever read “The Loved One” by Evelyn Waugh? Oh, love this! Great advice! I’ll be sure to be back and check your blog again. I have two books to publish this year and I am, well, totally a newbie at this. So very grateful to find and learn what to do and NOT do. 🙂 Thank you! As someone who is finally moving into the time of her life where she can start thinking about publication and self-promotion, this is an extremely helpful post. It’s wonderful how well the internet preserves these sorts of things for future audiences. Thank you! While reading, I very quickly realized that this is probably the overall best approach to self-promotion — whether promoting a short story, blog, or some event you might be responsible for. This battle between wanting to be humble and *really* wanting to have some degree of exposure is such a curious thing. I also think that another (possibly) helpful way of self-promoting could be to openly ask people for feedback. Then we, the author, have humanized ourselves by admitting that we too have room for improvement. What do you think could be the repercussions of that? Have you tried it, and have people responded poorly or well? Does it open the proverbial can of worms?